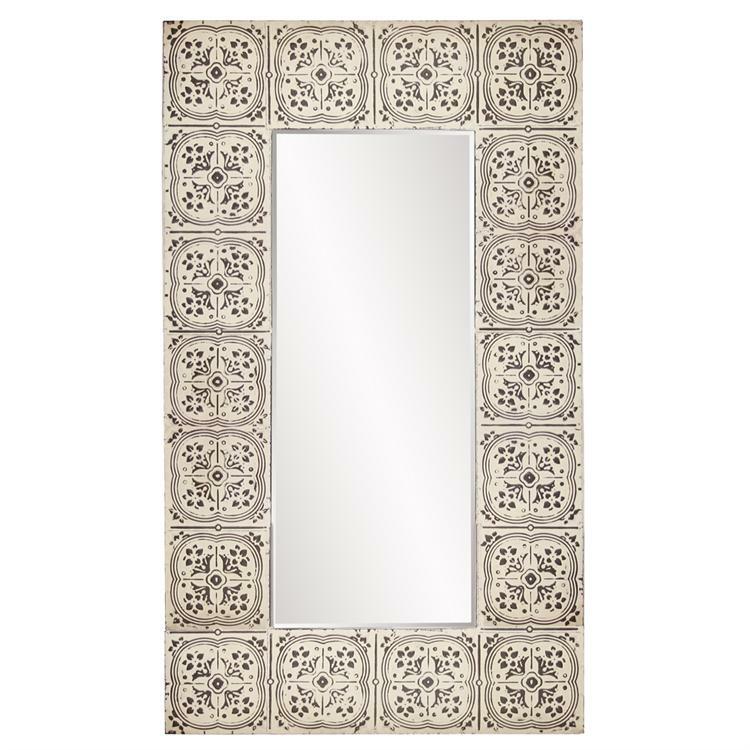 The Union Mirror is a rectangular piece composed of square metal tiles reminiscent of old, ornate ceiling tiles. They are finished in an antique beige with silver distressing. It is also available in a square shape. The Union Mirror is a perfect accent piece for any design. Hang in either a horizontal or vertical orientation. Customizable for larger orders.